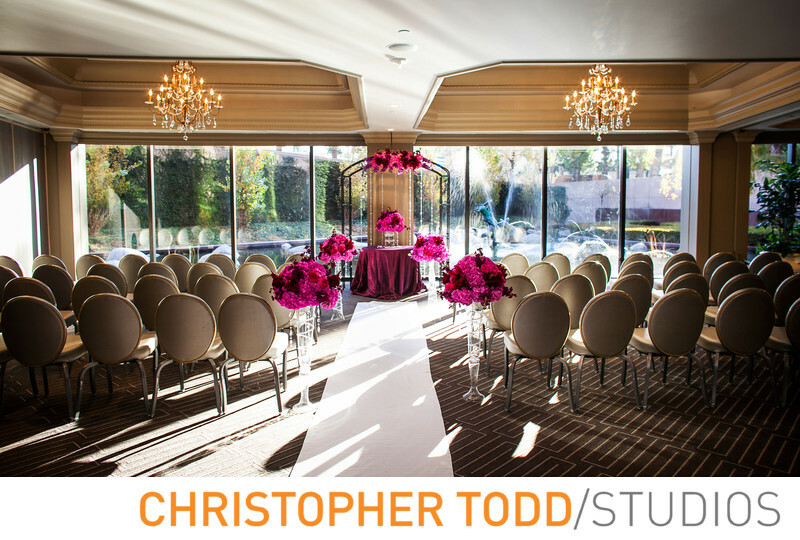 This photo is of the wedding ceremony in the ballroom of the Center Club. The chandeliers add a nice touch to the picture. Plenty of natural light for a ceremony here and beautiful views of the garden. I always take photos of the ceremony site before it begins so the bride and groom can remember the day even thought they might not see it set up this way. Location: 650 Town Center Drive, Garden Level, Costa Mesa, CA 92626 . 1/25; f/4.0; ISO 200; 24.0 mm.